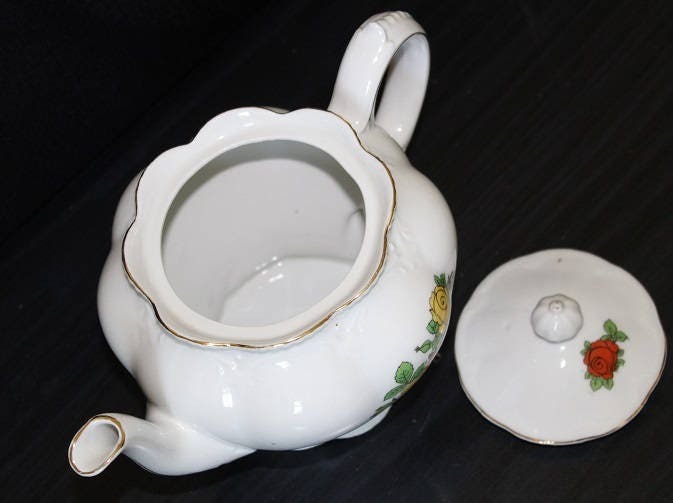 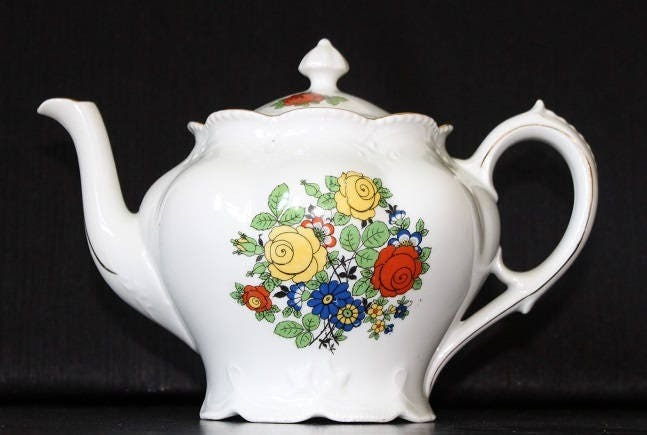 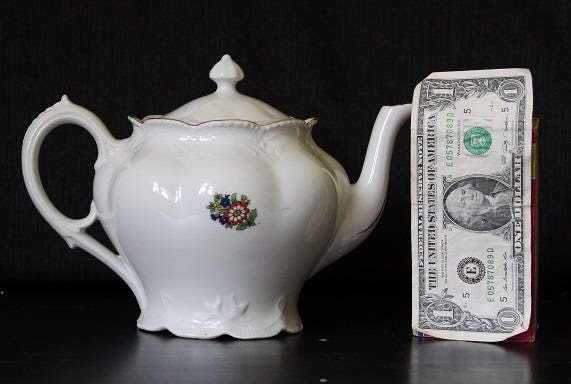 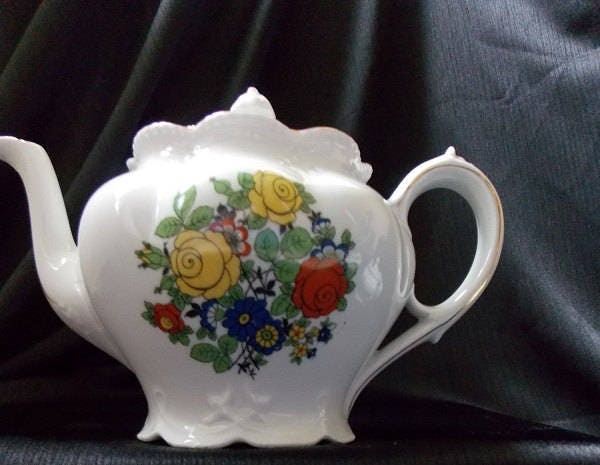 This hand painted ceramic teapot was made in Germany. 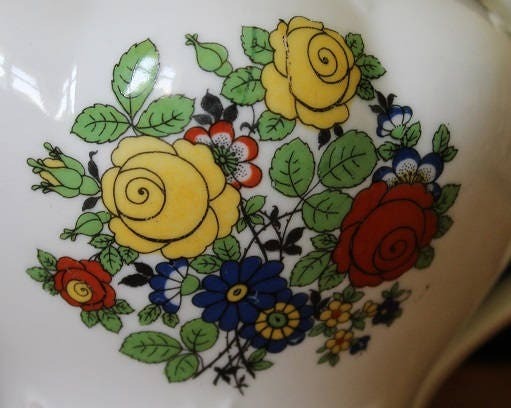 It features an overall white color with red and yellow roses and blue/white and red/white daisies against green leaves on one side. 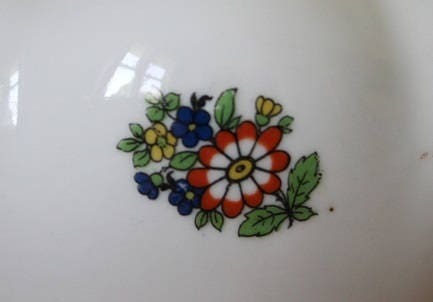 On the backside, there is a large red/white daisy with smaller blue and yellow daisies. 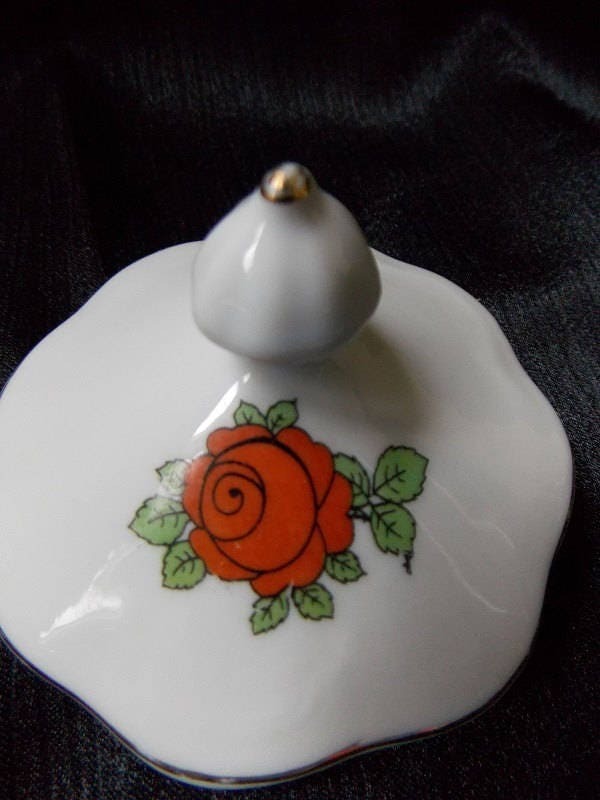 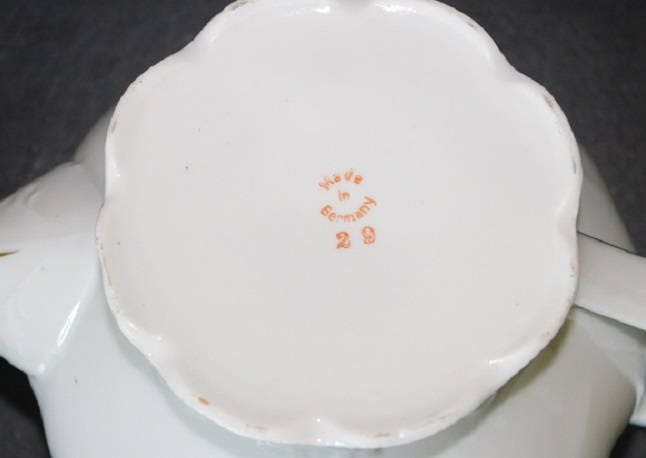 The lid has a single red rose. 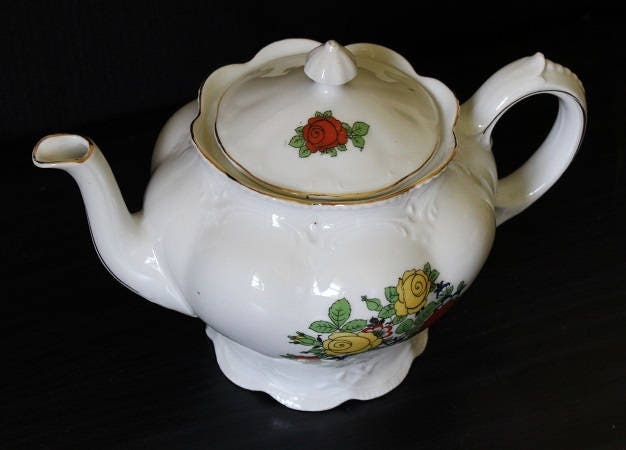 This teapot is trimmed in gold .